Kate, poor cow, will be imagining she’s in full labour when she’s hardly dilated (2 cms probably, needs to be ten) and under normal circumstances, would have been told to go home and come back later. She will have cried at least once. William will be getting short shrift for irritating back rubs and trying to make her eat the sandwiches he’s (badly) made. He’ll also be jokingly trying to inhale the gas and air, which will make medical people send him on ‘errands’ just to get rid of him. Kate will be crossly demanding everyone sticks to her ‘birth plan’ of a water birth and Mozart and refusing pethidine and an epidural. She will be too terrified to poo. It’s going to take HOURS and HOURS and everyone will be getting crosser and more tired and stressed. 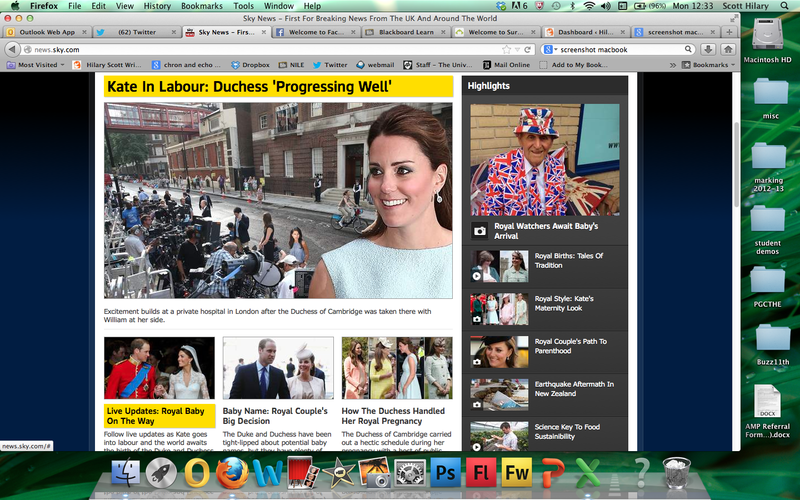 Kate will eventually INSIST that everyone shuts up about the bloody birth plan and just gets her a bloody epidural NOW. One way or another, there will be a baby in the next 24 hours but minute-by-minute news reporting is utterly pointless. The World will go baby bonkers for the next year at least. Move on people, Twitter will let us know when anything happens. Hahahaha:) not a fan of lol but if I was you’d get one!